Do you own or work in an office? How much paper do you think is wasted day to day? It’s more than you realize. Think about it: every time someone prints a page and throws it out, every time someone tosses their old notes into the trash can, all that’s going into a landfill somewhere to rot. Not a pretty picture, is it? 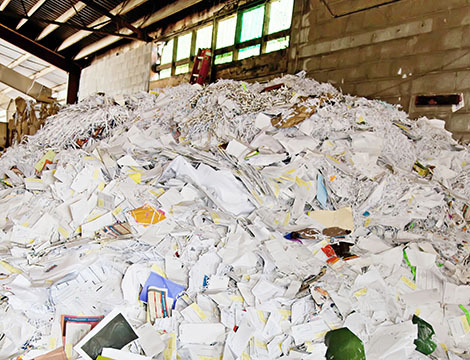 Your business may partake in shredding of important documents, but office recycling is important as well. You may be thinking, “Sure, but it’s easier to throw it away than recycle it.” Wrong! 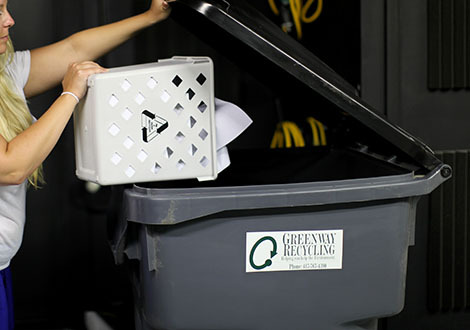 Contact Greenway Recycling for your office recycling bins. We carry small bins that fit underneath your desk, and large bins for entire departments or floors. Put your paper in the bins instead of the trash can. Place a bin near your copy machines to make it even easier! We collect the bins at no charge. Your paper materials are recycled. And that’s it! If your office requires paper shredding, check out our document destruction page for more information. It’s just as easy to throw your paper in a bin rather than in a trash can. We’ll take care of hauling it away and keeping your business more sustainable and environmentally-friendly. Office recycling offers a morale boost to your employees and will attract positive reactions towards your organization. We make it easy so you don’t have to worry about a thing. On average, it costs 40% less to recycle materials rather than sending them to the landfill. According to Recycle Across America, recycling is the top action we can do to improve the economy, the environment and offer more sustainable manufacturing. But making sure you recycle the right way is vital to keep these materials reusable.